VIZ Media, LLC (VIZ Media), a premier company in the fields of publishing, animation distribution, and global entertainment licensing, announces the amazing story of one of Japan’s greatest professional wrestlers, Shinsuke Nakamura, with the release of KING OF STRONG STYLE: 1980-2014 on August 7th. The autobiography debuts as a single-volume, hardcover print edition and as digital edition. Both editions include numerous photographs that document Nakamura’s life. The print MSRP for KING OF STRONG STYLE: 1980-2014 will be $26.99 U.S. / $35.99 CAN. The worldwide digital MSRP will be $13.99 U.S.
Before he became a star of American professional wrestling, Shinsuke Nakamura was Japan’s “King of Strong Style.” Follow his life and career from the amateur grappling ranks to the Nippon Budokan, thrill to his matches against such legends as Kurt Angle and Brock Lesnar, his reign as the youngest New Japan Pro-Wrestling Heavyweight Champion, and his success as a mixed martial artist. Nakamura was recently featured in the main event at Wrestlemania 34, which was held at the at Mercedes-Benz Superdome in New Orleans, Louisiana in April. 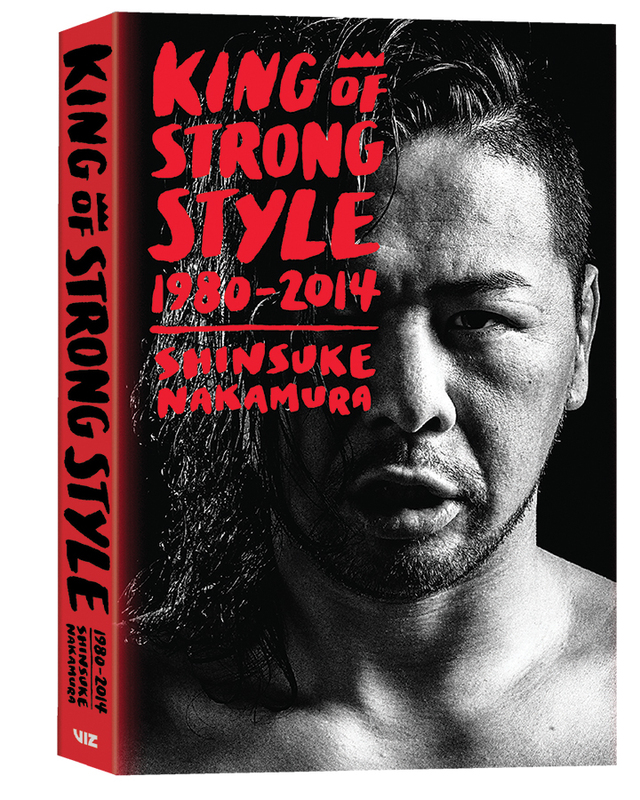 For additional information on KING OF STRONG STYLE: 1980-2014 or other titles distributed by VIZ Media, please visit kossbooks.com and viz.com.